Bad social media reviews are not something to shy away from. Embrace them and the opportunity that they present. Yes, they can be a good thing. At Industrial NetMedia, we have built hundreds of websites and encourage all of our clients to invest at least some resources in social media to promote their site and the products and services they contain. Many of our customers embrace social media platforms themselves or subscribe to our social media packages to increase awareness of their messaging, but some clients resist this critical step out of fear of negative reviews and comments. This seems like a case of cutting off one's nose to spite one's face. Every business initiative has obstacles. These challenges, however, should never be a reason not to do something but are simply realities which must be factored in. Most business are scared to get public reviews and will go out of their way to prevent them. It is a well-known fact positive reviews from regular folks are a powerful selling tool. That immense power is why we do social media in the first place. Industry researchers have found almost three-quarters of consumers claim a positive review makes them trust the business being reviewed significantly more than mere advertising. 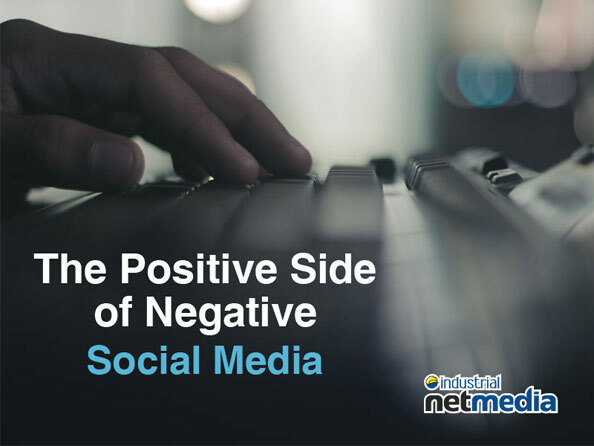 The down side is, though, no matter how carefully you run your business and social media initiatives, you are bound to receive at least a few negative reviews. But we think that a few bad reviews mixed in helps increase the trustworthiness of all the reviews as a whole. Viewers usually read the bad reviews first to see how they were handled, before reading any positive reviews. This gives the reader a better picture of the company that they are dealing with. Knowing there may be negative reviews posted on your social media pages is no reason to give up on those pages. Less than positive consumer posts will only hurt you if you don't have a plan to deal with them. Handled properly, negative comments actually provide an opportunity to demonstrate you are a caring company that listens to your customers. You can even turn negative client experiences into a positive social media experience that increases trust and, ultimately, sales. We have turned around many negative reviews. Negative reviews actually give you more PR than a suspiciously glowing review. As consumers, we have all had our troubles with one company or another throughout our lives. Most of us understand everyone, including businesses, make mistakes. It is what happens after a error is made that separates quality companies from those we try to avoid. Let's look at ways to turn customer frowns upside down. Take the time to reply to the review as if you were talking to the world and every future customer... because you are. Apologize. Don't accuse or tell the customer they are wrong. State your policies, but tell the customer that you care and are willing to work with them if they are unsatisfied. Let them know you will call them or ask them to call you. If a customer has taken your company to task for whatever reason, the first step is to publicly offer sincere apologies for their unhappiness (but not yet for the problem) and suggest further conversation, such as by phone or the direct private messaging area of the social media in which the discussion is taking place. Unless the complainant is simply a troll trying to stir up trouble (and yes, this sort of creature does exist on social media platforms) the people who throw shade at your company really are unhappy and often, for good cause. It is vital to sort through your unhappy customer's emotional negativity and discern exactly what the problem is. If your product or service is flawed, it's something you should want to know. Your client is doing you a favour by telling you, instead of all his friends, family and followers. If it really is a troll, don't worry, people are smart enough to recognize a troll. They certainly have been on the receiving end of one before and will empathize with you if you respond to them compassionately, and not to start an argument. Your company is important to you and it hurts when someone attacks it. The natural reaction is to get your back up and defend your precious business to the last breath. That won't help, unfortunately, but will only make the situation worse. Instead, having listened carefully to the complaint, try and put yourself in the customer's shoes. What would you expect from the company if you were in his position? What is he asking for? Is it reasonable? Is it worth less than the bad publicity might cost you if the problem goes viral? It is important to stay focused on solving the customer's problem and demonstrating your willingness to react fairly. It is a great idea to have a comprehensive set of social media policies ready so that you can respond consistently and decisively. Map out the lengths your social media providers can go to satisfy the unhappy; perhaps with free goods or services or some other item of value such as a discount coupon. Follow up after a bit of time to ensure the client was truly satisfied with your response. Treat the person complaining as... well... a person! Sometimes business people fall into a trap where they see clients as a problem rather than a person. The customers become the "them" in an "us vs them" world. Instead of dehumanizing those who are dissatisfied, it is critical to view them as fellow human beings, with all the due respect that is owed to an equal. Tips to remember when faced with a dis-satisfied customer. Getting caught up in your client's emotionalism is counter-productive. How you deal with the negative post is being watched by the world. More people will read and follow a negative review than a glowing one. Take advantage of all this free publicity. It is your chance to shine. Every complaint is an opportunity to learn how to improve your product or service. Doing more than necessary to make things right will cost a lot less, in the long run, than not doing enough. Even the worst PR storms eventually blow over. If you have had experiences in dealing with unhappy campers in your social media feeds, INM would like to hear from you! Drop us a line and share how your company dealt with the issue and any suggestions you might have for resolving client/company conflicts.